Posté dans 21 avril, 2012 dans Non classé. 12 commentaires. Kuri uyu wa gatanu tariki ya 20 Mata 2012, Dr. Theogene Rudasingwa yahaye ubuhamya umucamanza Trévidic i Paris mu Bufaransa mu gihe kirenze amasaha 6. Muri ubwo buhamya yavuze ibyo azi ku iraswa tariki ya 6 Mata 1994 ry’indege ry’indege yari itwaye Perezida HABYALIMANA n’abo bari kumwe aribo: Perezida Cyprien NTARYAMIRA w’u BURUNDI, Gen Major Déogratias NSABIMANA, Col Elie SAGATWA, Major Thaddée BAGARAGAZA, Ambassadeur Juvénal RENZAHO, Dr Emmanuel AKINGENEYE, Minstre Bernard CIZA, Ministre Cyriaque SIMBIZI, abaderevu b’indege b’abafaransa Jacky HERAUD, Jean Pierre MINABERRY na Jean Michel PERRINE . Nk’uko Dr Rudasingwa yabitangarije Radio Itahuka ijwi ry’Ihuriro Nyarwanda RNC, yavuze ko ubuhamya yatanze bukubiyemo ibyo yari yaratangaje mbere (bikubiye mu nyandiko muza gusanga hasi mu cyongereza) ariko avuga ko hari n’ibindi yongeyeho atari yarigeze atangaza mbere. Dr Rudasingwa kandi yamenyesheje Umucamanza Trévidic ko hari abandi batangabuhamya benshi nabo bifuza gutanga amakuru y’ibyo bazi ku iraswa ry’indege yari itwaye Perezida Habyalimana ariko bisaba ko hagomba kubanza kwigwa uburyo umutekano w’abo batangabuhamya wabungabungwa kuko bigaragara ko Leta ya Perezida Kagame ishobora gukoresha ingufu zose zishoboka ngo ibabuze gutanga ubwo buhamya. Dr Rudasingwa yatangaje ko ari igikorwa cyiza gufatanya n’ubucamanza bw’u Bufaransa kugira ngo ukuri kujye ahagaragara. Ariko ntabwo yashoboye gutangaza ibikubiye muri ubwo buhamya byose kuko iperereza rigikomeza, gutangaza ubu buhamya bishobora kubangamira iperereza, ntabwo kandi yashoboye gutanga amakuru y’ibizakurikira iki gikorwa cy’ubucamanza, ariko yavuze ko yiteguye gutanga ubuhamya bwe mu rukiko igihe cyose urukiko ruzaba rubimusabye. On August 4, 1993, in Arusha, Tanzania, the Government of Rwanda and the Rwandese Patriotic Front signed the Arusha Peace Agreement. The provisions of the agreement included a commitment to principles of the rule of law, democracy, national unity, pluralism, the respect of fundamental freedoms and the rights of the individual. The agreement further had provisions on power-sharing, formation of one and single National Army and a new National Gendarmerie from forces of the two warring parties; and a definitive solution to the problem of Rwandan refugees. On April 6, 1994, at 8:25 p.m., the Falcon 50 jet of the President of the Republic of Rwanda, registration number “9XR-NN”, on its return from a summit meeting in DAR-ES-SALAAM,Tanzania, as it was on approach to Kanombe International Airport in KIGALI, Rwanda, was shot down. All on board, including President Juvenal Habyarimana , President Cyprien Ntaryamira of Burundi, their entire entourage and flight crew died. The death of President Juvenal Habyarimana triggered the start of genocide that targeted Tutsi and Hutu moderates, and the resumption of civil war between RPF and the Government of Rwanda. The RPF’s sad and false narrative from that time on has been that Hutu extremists within President Habyarimana’s camp shot down the plane to derail the implementation of the Arusha Peace Agreement, and to find a pretext to start the genocide in which over 800,000 Rwandans died in just 100 days. This narrative has become a predominant one in some international circles, among scholars, and in some human rights organizations. The truth must now be told. Paul Kagame, then overall commander of the Rwandese Patriotic Army, the armed wing of the Rwandese Patriotic Front, was personally responsible for the shooting down of the plane. In July, 1994, Paul Kagame himself, with characteristic callousness and much glee, told me that he was responsible for shooting down the plane. Despite public denials, the fact of Kagame’s culpability in this crime is also a public “secret” within RPF and RDF circles. Like many others in the RPF leadership, I enthusiastically sold this deceptive story line, especially to foreigners who by and large came to believe it, even when I knew that Kagame was the culprit in this crime. The political and social atmosphere during the period from the signing of the Arusha Accords in August 1993 was highly explosive, and the nation was on edge. By killing President Habyarimana, Paul Kagame introduced a wild card in an already fragile ceasefire and dangerous situation. This created a powerful trigger, escalating to a tipping point towards resumption of the civil war, genocide, and the region-wide destabilization that has devastated the Great Lakes region since then. Paul Kagame has to be immediately brought to account for this crime and its consequences. First, there is absolutely nothing honorable or heroic in reaching an agreement for peace with a partner, and then stabbing him in the back. Kagame and Habyarimana did not meet on the battlefield on April 6, 1994. If they had, and one of them or both had died, it would have been tragic, but understandable, as a product of the logic of war. President Habyarimana was returning from a peace summit, and by killing him, Kagame demonstrated the highest form of treachery. Second, Kagame, a Tutsi himself, callously gambled away the lives of innocent Tutsi and moderate Hutu who perished in the genocide. While the killing of President Habyarimana, a Hutu, was not a direct cause of the genocide, it provided a powerful motivation and trigger to those who organized, mobilized and executed the genocide against Tutsi and Hutu moderates. Third, by killing President Habyarimana, Kagame permanently derailed the already fragile Arusha peace process in a dangerous pursuit of absolute power in Rwanda. Kagame feared the letter and spirit of the Arusha Peace Agreement. As the subsequent turn of events has now shown, Kagame does not believe in the unity of Rwandans, democracy, respect of human rights and other fundamental freedoms, the rule of law, power sharing, integrated and accountable security institutions with a national character, and resolving the problem of refugees once and for all. This is what the Arusha Peace Agreement was all about. That is what is lacking in Rwanda today. Last, but not least, Kagame’s and RPF’s false narrative, denials, and deceptions have led to partial justice in Rwanda and at the International Criminal Tribunal for Rwanda, thereby undermining prospects for justice for all Rwandan people, reconciliation and healing. The international community has, knowingly or unknowingly, become an accomplice in Kagame’s systematic and shameful game of deception. I was never party to the conspiracy to commit this heinous crime. In fact, I first heard about it on BBC around 1:00 am on April 7, 1994, while I was in Kampala where I had been attending the Pan African Movement conference. I believe the majority of members of RPF and RPA civilians and combatants, like me, were not party to this murderous conspiracy that was hatched and organized by Paul Kagame and executed on his orders. Nevertheless, I was a Secretary General of the RPF, and a Major in the rebel army, RPA. It is in this regard, within the context of collective responsibility, and a spirit of truth-telling in search of forgiveness and healing, that I would like to say I am deeply sorry about this loss of life, and to ask for forgiveness from the families of Juvenal Habyarimana, Cyprien Ntaryamira, Deogratias Nsabimana, Elie Sagatwa, Thaddee Bagaragaza, Emmanuel Akingeneye, Bernard Ciza, Cyriaque Simbizi, Jacky Heraud, Jean-Pierre Minaberry, and Jean-Michel Perrine. I also ask for forgiveness from all Rwandan people, in the hope that we must unanimously and categorically reject murder, treachery, lies and conspiracy as political weapons, eradicate impunity once and for all, and work together to build a culture of truth-telling, forgiveness, healing, and the rule of law. I ask for forgiveness from the people of Burundi and France whose leaders and citizens were killed in this crime. Above all, I ask for forgiveness from God for having lied and concealed evil for too long. In freely telling the truth before God and the Rwandan people, I fully understand the risk I have undertaken, given Paul Kagame’s legendary vindictiveness and unquenchable thirst for spilling the blood of Rwandans. It is a shared risk that Rwandans bear daily in their quest for freedom and justice for all. Neither power and fame, nor gold and silver, are the motivation for me in these matters of death that have defined our nation for too long. Truth cannot wait for tomorrow, because the Rwandan nation is very sick and divided, and cannot rebuild and heal on lies. All Rwandans urgently need truth today. Our individual and collective search for truth will set us free. When we are free, we can freely forgive each other and begin to live fully and heal at last. 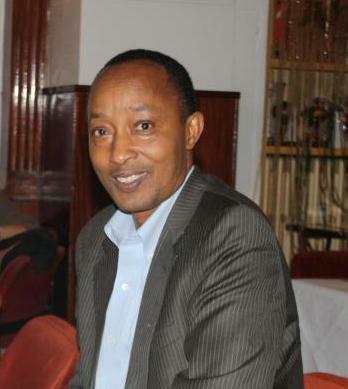 Former: RPF Secretary General, Ambassador of Rwanda to the United States, and Chief of Staff for President Paul Kagame.